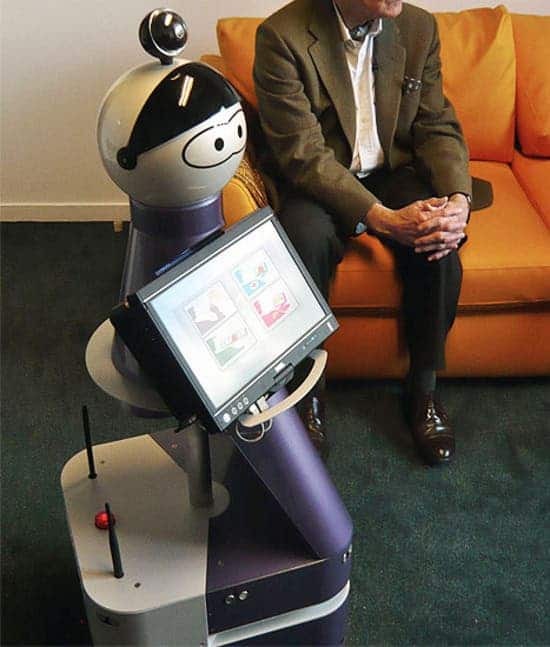 Although the Japanese are light years away from competition as far as robots are concerned, the French built KOMPAI robot does to well to pace to the Asian industry. Developed as an general utility bot for the elderly, the robot is responsible for carrying out various simple tasks around the house through voice interaction. The robot can keep account of the grocery list, entertain, follow the elder around, personal scheduling and even contact the doctor in case the owner doesn’t feel well. Developed by Robosoft, the KOMPAI robot was recently on display at the Innorobo conference in Lyon, France. The video below demonstrates KOMPAI’s capabilities. For a reason yet unbeknownst to me, I found it all very hilarious, in a very good way.